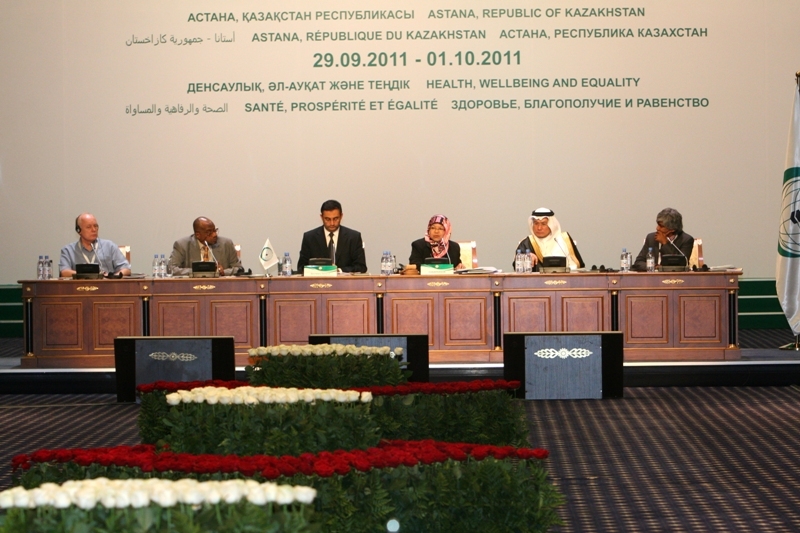 First, Dr. Alpay made a presentation on “The State of Maternal and Newborn Health in OIC Member Countries” during the Brainstorming Session on “Cooperation among OIC Member States towards achieving Millennium Development Goal (MDC) No 4: Reduce child mortality and MDG No 5: Improve maternal health” which was chaired by the Minister of Health of Kazakhstan. Highlighting the heavy burden of the maternal and infant mortality in the OIC Member States, Dr. Alpay shed light on the slow progress on some selected measures like antenatal care coverage, skilled attendance of births, breast feeding practices and prevalence of high adolescent fertility rates, which are very critical for improving MNH situation in OIC Member States. 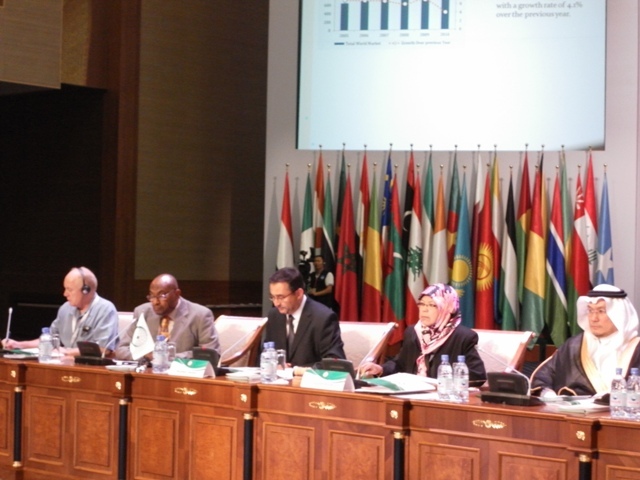 In his presentation, he identified that, among others, heavy reliance on out-of-pocket health expenditures to finance health spending and insufficient health workforce to deliver health services remained the major challenges in addressing the maternal and infant health issues in OIC Member States. 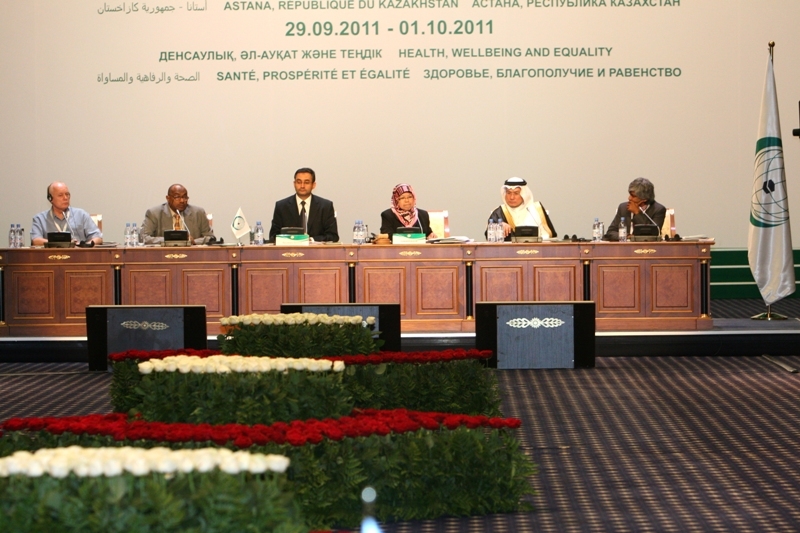 He concluded his presentation by making some policy recommendations for the Member States to overcome these barriers by reforming health financing system to increase the share of pre-paid health insurance schemes in total health expenditures and by establishing a health service commission for training, recruitment and management of health workforce both at national and intra-OIC level. He also invited the Member States to make use of SESRIC’s IbnSina Health Capacity Building Programme (IbnSina-HCaB) towards sharing the knowledge and experience present in the Member States. Other presentations were also made during the Session by the representatives of the following international organizations: USAID, UNICEF, and UNFPA. 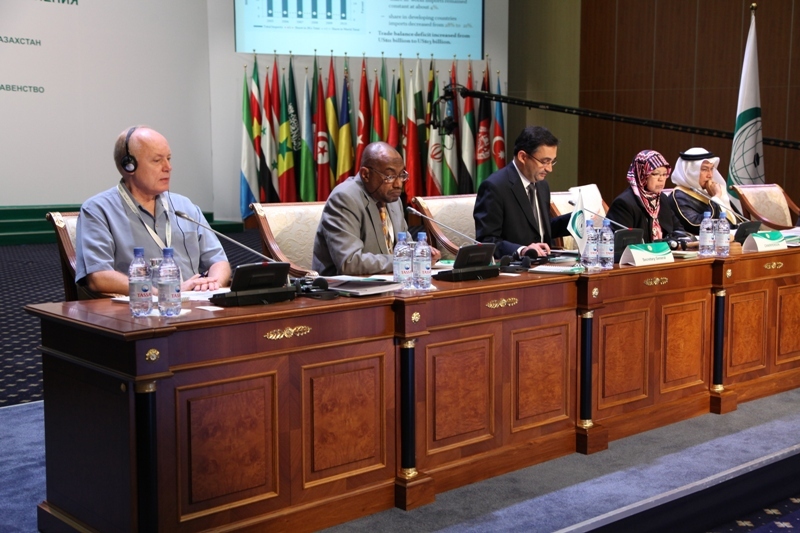 Second, Dr. Alpay made a presentation titled “The State of Polio in OIC Member Countries: Enhancing Multilateral Cooperation to Eradicate Polio” during the panel discussion on “Global Eradication of Polio” which was moderated by the representative of the Republic of Indonesia. In his presentation, he highlighted the fact that eradication of polio is one of the most critical issues to be put high on the health agenda of the OIC Member States. He underlined the fact that until unless every last child is not immunized, all children are vulnerable to the disease across the globe as it is evident from the recurrence of polio in some polio free countries in 2010. He emphasized the need for close cooperation between Member States and Global Polio Eradication Initiative (GPEI) to achieve maximum level of immunization in Member States. Furthermore, there is also need for strong political commitment as well as involvement of local community and religious leaders to increase routine vaccination and monitoring in Member States. He also called upon the high income Member States to contribute more financial resource to the GPEI as well as help the polio affected Member States to boost up their health care systems. Other presentations were also made during the Panel by the representatives of the following international organizations: WHO/GPEL, UNICEF, and Bill & Melinda Gates Foundation. 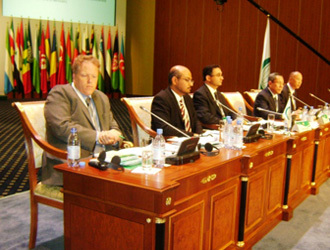 The third presentation made by Dr. Alpay was on “Pharmaceutical Industry in OIC Member Countries: Production, Consumption and Trade” during the panel discussion on “Self Reliance on Supply and Production of Drugs including Vaccines” which was moderated by the representative of the Republic of Malaysia. 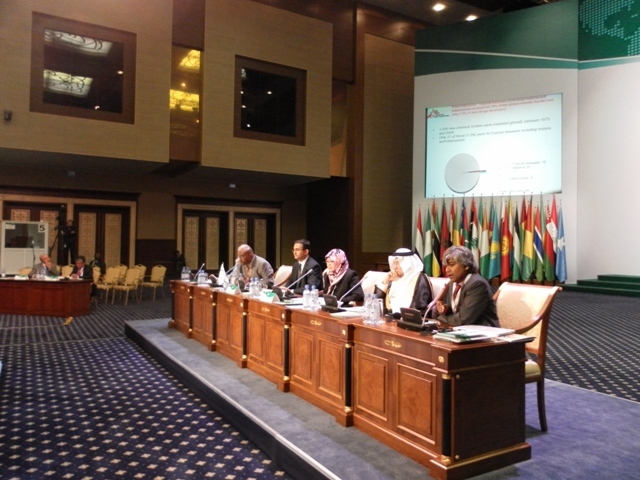 In his presentation, he underlined the fact that majority of the OIC Member States has very limited local capacity to produce needed medicines and vaccines and local industry satisfy a tiny fraction of the demand across the OIC region. As a result, Member Sates rely heavily on imports. 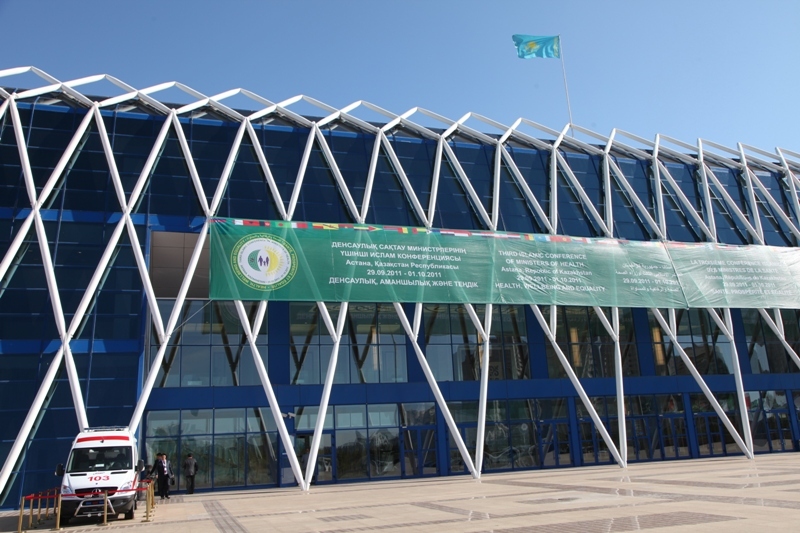 However, at the Intra-OIC level, pharmaceutical trade remained low and a bulk of medicines and vaccines are imported from the non-OIC countries. 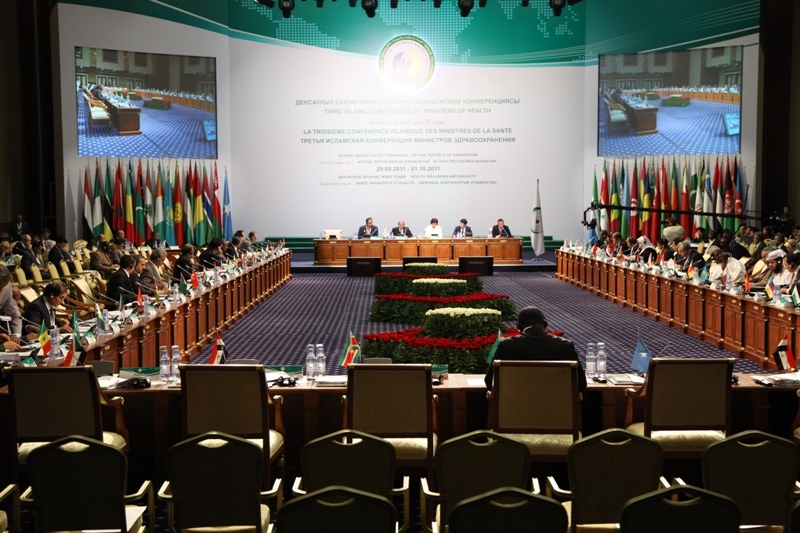 He highlighted the fact that low production capacity in Member States is mainly due to low R&D expenditures and limited scientific research opportunities in the OIC region. He concluded his presentation by calling upon Member States to cooperate in development of a robust pharmaceutical industry by allocating more resources for R&D expenditures, building modern research facilities, encouraging studies in medicine related disciplines and enhancing training opportunities to produce skilled human resources like scientists, pharmacists, biologists and lab technicians. 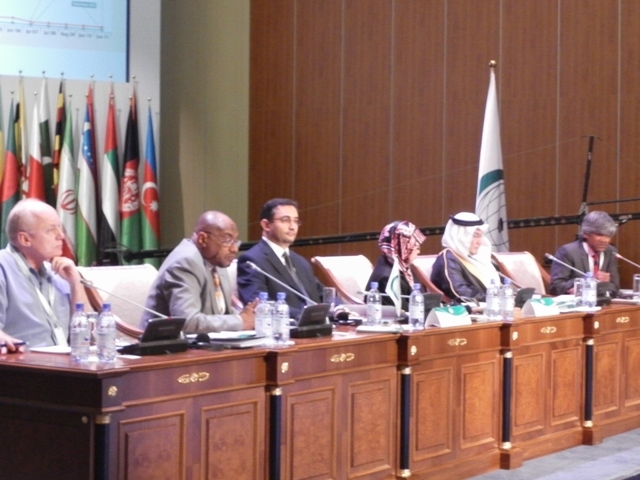 Other presentations were also made during the Panel by the representatives of the following OIC and international institutions: ICCI, IDB, DNDi, and US Department of Health.